Do try it. 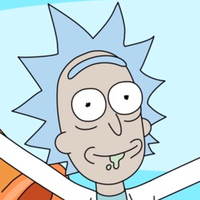 Power users such as yourself can provide Rick with meaningful feedback as you try to replicate/improve your techniques. Paint.NET has detected that some important installation files are missing. If you click the Repair button it will attempt to repairt his and then continue loading. Pressing the Repair button leads to some activity (where I can see a Paint.NET 4.0 pre release in the header) but it does not work. The application terminates and the next start will present the same messagebox. I downloaded vcredis_x64.exe and installed it but w/o effect. Please keep troubleshooting posts for 4.0 inside the paint.net 4.0 Preview Center. That thread is for discussing the system requirements, not troubleshooting. Thanks in advance. I ran both versions side-by-side for some time on my Win7 SP1 system. I used exactly those instructions to duplicate the folder. Worked like a dream, so I expect that there is some other issue at fault here. I'll re-install 3.5.11 to see if it will cooperate with the latest version of 4.0. So it seems that Paint.NET 4 removes some important files required by 3.5.11. - The pdn file format changed a little bit (The serialized data part). Still compatible between PDN versions but I had to update the Irfanview plugin. Both versions are working sweetly. Here's another thing you can do. 2. Copy the 3.5.11 folder. e.g. from "C:\Program Files\Paint.NET" to "C:\Program Files\Paint.NET 3.5.11"
7. In there you'll see 2 DLLs and 3 folders. Copy the 3 folders off somewhere convenient, for use in step 9. This will give Paint.NET v3.5.11 a "local" copy of the VC++ redist that it can use. This should be foolproof -- it's the way the installer is able to use the VC++ redist without having to install it first.